For IT News Week 5 Apr 2017. PR - May 2, 2017 - AIMS Reports 24% Growth in 2016 - The Best Year Ever Yet !! Carbon Black today announced the release of Cb Protection 8.0, the only application control solution on the market to automate lockdown of data center servers. “Rapid Configs”: The highest form of server protection that is quicker and more effective than ever before. These out-of-the-box and cloud-delivered protection rules simplify configuration of application control policies and optimize protection against attacks targeting servers. Enhanced PowerShell and Script Protection: With the increase in fileless attacks leveraging frameworks such as PowerShell, administrators will now have continuous access to the benefits of command-line tools while also being protected against attacks attempting to exploit them. Unified Management, Rapid Rendering and API Improvements: Unified Management allows organizations to keep “local” data “local” to meet compliance requirements, while rapid rendering dynamically displays content to users when it’s available, dramatically improving UI response times. Role-Based Access Control: These controls provide better visibility to mitigate insider threats by limiting access to specific, trusted users. Kaspersky Lab has released an innovative version of Kaspersky Endpoint Security for Business, the company’s flagship solution for corporate security from the constantly evolving cyberthreat landscape. While continuing to provide reliable protection for customers, with the most award-winning solution in the industry, the new edition comes with multiple manageability enhancements, increased flexibility of data protection, and the centralized management of more platforms, applications and devices. As a part of its enterprise-focused functionality, the new Kaspersky Endpoint Security for Business can be used as a sensor for Kaspersky Anti-Targeted Attack platform. Once installed, the sensor component can collect and deliver data to the platform, providing more visibility into corporate systems. The Changes audit functionality in Kaspersky Endpoint Security for Business allows IT security teams to track changes in policies and tasks, and compare revisions to identify any differences instantly. This significantly improves control over changes in the security settings. The solution is based on Kaspersky Lab’s HuMachine intelligence approach — a fusion of threat intelligence with machine learning and the expertise of the company’s best security teams. Cyber threats are detected with machine learning algorithms trained on big data from the Kaspersky Security Network. A global cloud-based threat intelligence platform, Kaspersky Security Network processes metadata voluntarily submitted by millions of Kaspersky Lab product users, while security experts are constantly adapting mathematical models to detect new sophisticated threats. 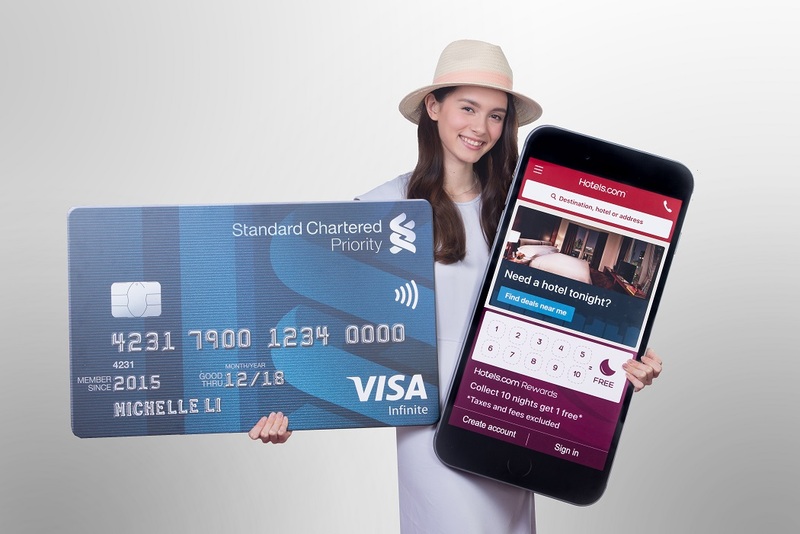 Standard Chartered and Hotels.com® are excited to launch a three-year global strategic alliance that offers Standard Chartered credit cardholders in five countries up to 12% off on hotel bookings around the world on Hotels.com. Curtin University has selected Hitachi to deploy an internet of things (IoT) solution to advance its vision of a smart campus that enhances the student experience, improves classroom learning and ultimately attracts more industry to collaborate on data-driven research. Curtin is achieving this by partnering with Hitachi to co-create solutions that harness IoT data through advanced analytics to provide insight into the daily running and utilization of the campus. Commercial Radio Malaysia (CRM), the association of commercial radio operators in Malaysia announces its new leadership line-up at the recent 20th Annual General Meeting on 13 April 2017. Datuk Jake Abdullah, the Chief Executive Officer of Astro Radio, was re-elected for the 2017-18 term. Datuk Jake joined Astro in 1996 as announcer and Music Executive for hitz.fm before holding his current position as the CEO of Astro Radio since Year 2013. Ms. Erin Hwang Bin Bin (General Manager, Sales, Rimakmur Sdn Bhd) was re-elected the Vice President whilst Cik Anida Mohd Tahrim (Max Air Play Sdn Bhd) and Mr. Bala Murali Subramaney (Capital FM Sdn Bhd) were elected as the Honorary Secretary and Honorary Treasurer respectively during the Annual General Meeting. The CRM line-up now comprises 22 commercial radio stations from both Peninsular and East Malaysia. In 2016, CRM partnered with the international research firm of GfK to generate compelling radio insights, trends and data for our members, advertisers and other business partners. The AIMS Group (AIMS), Southeast Asia’s leading carrier-neutral data services provider, today announces that the company recorded its highest ever 24 percent growth in revenue in 2016, which the group has acknowledged it’s their best ever performance in the history of its operations, again breaking last year’s growth record. He added that in 2016 also, AIMS Group saw a 14 percent increase in new customers, while the data centre’s cloud-based services experienced more than 300 percent jump in revenue. “Just two (2) years ago, AIMS introduced its customised, ‘private’ cloud services. Today, we are seeing how well our corporate customers have been embracing this offering as they can get the best of both worlds – which are a managed data centre, with cloud capabilities,” he adds. BIOSTAR is proud to announce its latest addition to its storage solution with the announcement of the BIOSTAR G330 Series solid-state drive. As a step-up from the initial BIOSTAR G300, the new BIOSTAR G330 Series SSD promises 10% faster performance and features unique BIOSTAR design for both convenience and performance. 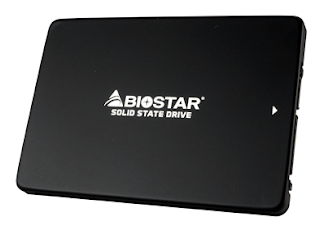 BIOSTAR’s G330 Series SSD utilizes Micron 3D TLC with DRAM cache and comes at capacities up to 512GB worth of storage. The BIOSTAR G330 Series SSD is designed for upgraders and power users looking to upgrade their current system with a faster storage solution for better response times from their application and battery life on their mobile systems. Ultra-Slim G330 Series SSD is extremely slim and lightweight only at 6.8mm, which fits most sizes of PC or laptop chassis easily and perfectly, especially for the hottest form factor mini-ITX PC cases. After two successful runs under the banner ‘Drinking Water Week’, 3M continues to advocate drinking water for the third year in a row. Partnering with 11street, one of the largest e-malls in Malaysia, 3M upped the intensity of sharing the importance of staying hydrated by hosting a charity badminton clinic, which was held at SJK(C) Choong Wen, in which 35 children from Rumah Victory Children & Youth Home and Pure Life Society took part. Children from both charity homes posing gleefully at the launch of 3M’s Drinking Water Week Event – Coach for A Cause. At the badminton clinic, 3M Malaysia took the opportunity to introduce its latest technologically-advanced product – the 3M Countertop Drinking Water System CTM-02. The CTM-02 has a high-water flow rate of up to 2.8 litres per minute, filters up to 14,000 glasses, and comes encased in futuristic designs with easy installation. One of its main features – the Sanitary Quick Change (SQC) –highlights the ease to replace a filter cartridge in 10 seconds. It has a cartridge life indicator, which enables consumers to check when the next cartridge change is due. The CTM-02 filter cartridge is tested and certified by NSF standards 42 and 53. Consumers can “Trust in Every Drop” because of the science that is behind 3M water filters. The 3M Countertop Drinking Water System CTM-02 retails for RM1,180 and comes with a one-year warranty. For enquiries on 3M Water Filters, please visit www.3M.com.my/water. For 11street promotions and the online charity giveaway, kindly visit http://promotion.11street.my/2017/05/3m-charity-project to purchase the newly-launched water filter and other 3M products.